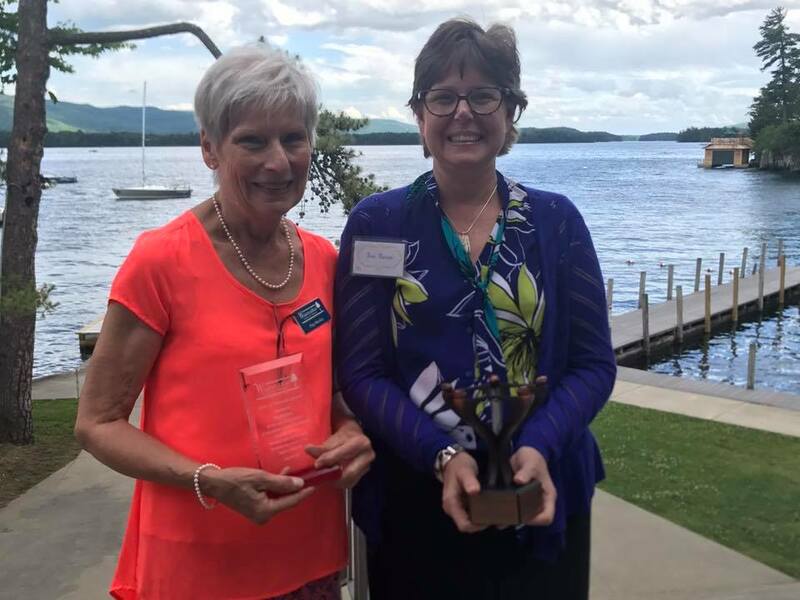 Congratulations to Peg Mackey and the Zonta Club of Glens Falls who were honored at today’s Ladies of the Lake Luncheon on June 26, 2017. Peg received the Spirit of Wiawaka Award for her long term service and dedication on the Wiawaka Board of Directors. Jean Bureau accepted the Mary Fuller Award on behalf of Zonta for their work with women locally and internationally. The luncheon was held at the Lake George Club and featured a wonderful silent auction. Thank you to all the donors, attendees and organizers who make this event possible. Save the date for the 2018 luncheon, set for June 18, 2018!